Today it's hard to imagine a social trend where a large number of mostly young people reject consumerism, live unplanned, spontaneous lives and challenge the fundamental assumptions of the status quo. That's exactly what happened in the 1960's. 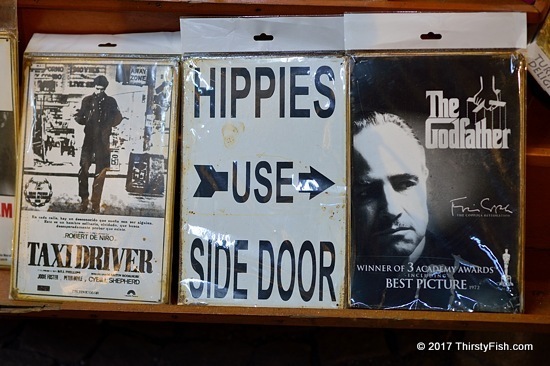 The New Left, the Civil Rights Movement and the Hippie Movement, influencing each other, formed a counterculture unlike anything seen in the history of the United States. The establishment was afraid - very afraid. The Hippie movement embraced unorthodox ideas, marginal Western thinkers and aspects of Eastern Philosophy. It valued personal freedoms and spontaneity, championed ending of wars, environmental causes and sexual liberation, used alternative arts and music as means both of inspiration and expression and viewed the dominant culture as corrupt and authoritarian. Counterculture is a threat to both the right and the "establishment left" . In 1975, mainly in response to the counterculture movements of the 1960's and 1970's, the influential "liberal" think-tank The Trilateral Commission prepared a report titled "The Crisis of Democracy". The report suggested that there was an excess of democracy in the United States causing central government institutions to lose prestige and authority. It recommended that to maintain international trade, balanced budgets and "hegemonic power" in the world, the crisis of democracy had to be addressed right away. You can download the report here. So, from the 1980's on, the United States government, with the aid of the mass media, big corporations and educational institutions, embraced a model of managed democracy, promoting conformity, consumerism, and the dumbing-down of the demos. All indicators are, it worked.